After the initial excitement of a positive pregnancy test, your first trimester may be less than glorious -- morning sickness may be a frequent visitor and you may be tired beyond belief. Food may not taste as good as you remember and sometimes you aren’t able to eat much at all. Good news, though -- once you pass from the first trimester to the next, you may start feeling human again. The second trimester (weeks 14 through 27) is known as the “golden trimester.” As you near the 12- to 14-week mark, your morning sickness may subside, which is huge for us moms -- my third pregnancy was marked by three solid months of rolling nausea until 1 pm every day and it make work nearly impossible. While I wasn’t back to normal by the beginning of the second trimester, I started to feel better by 20 weeks or so, and it was amazing. Your early pregnancy fatigue may also become a thing of the past. Being exhausted by mid-morning can be overwhelming and depressing, especially if you have other children to care for or a job to get to. 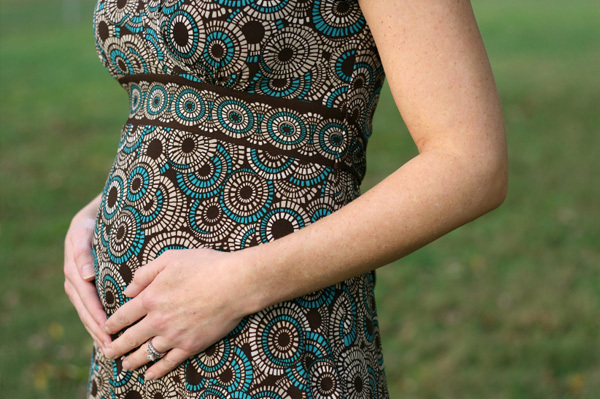 But many moms report that they feel more awake and have a clearer head once they pass into the second trimester. By 13 weeks or so, your uterus will clear your pelvis and start its glorious ascent into your belly. You will have to start thinking about maternity clothes, sure -- but having a visible reminder of the new life you are growing within you can be a mood-lifter any day. At around 20 weeks (or earlier for moms who have already had a baby), you will start to feel tiny movements. The first kicks may feel like nothing more than a little gas, but after a week or so of feeling the same types of movements you will realize that you are feeling your baby and not the burrito you had for dinner. To go along with your uterus rising up into your abdominal cavity, there will be less pressure on your bladder so you won’t have to empty it quite so often. Enjoy it while it lasts, because the third trimester brings its own bladder-stomping activities from your baby!